Geelong dental’s affordable General dentistry service can resolve toothache and tooth pain issues. Our general dentist in Geelong can restore teeth and smile for all Children and Adults. Dentists at our dental clinics who practices general dentistry are able to treat adults and kids on their tooth health care, They can provide assistance for you on any tooth related dental issues. Around Geelong Dental Care provides all aspects of general and family dentistry services for all adults and kids. Our dentists can also help you out with tooth pain relief by restoring a hurting tooth. They can also perform a tooth removal or tooth extraction services when you have a decayed tooth. Our General dentist are licensed to practice in all areas of dentistry. General dentists in Geelong can treat anyone in the family from young children, teenagers and adults in all age groups. Our General dentists provide dental care services related to the general maintenance of oral hygiene and tooth care for families in Geelong. Having good gums, caries free healthy teeth will help adults and kids in overall foundation of general dental care and Oral hygiene. General dentist in Geelong are qualified to do all general dental treatment procedures, but when it is not in their expertise, our dentists may refer you to a specialist dentists in that field of dentistry either in Geelong or Melbourne. 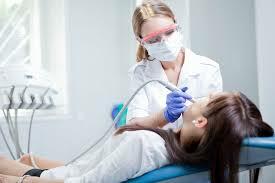 All types of general dentistry work can be done by Geelong dentists and Norlane dentists. If you need any general dentistry treatments like fixing Toothache or Tooth pain, Check-ups, Oral Surgery, Wisdom Teeth Extractions, Wisdom teeth removal, rootcanal and Dentures, Please call our clinic for all dental appointments with our dentist in Geelong.